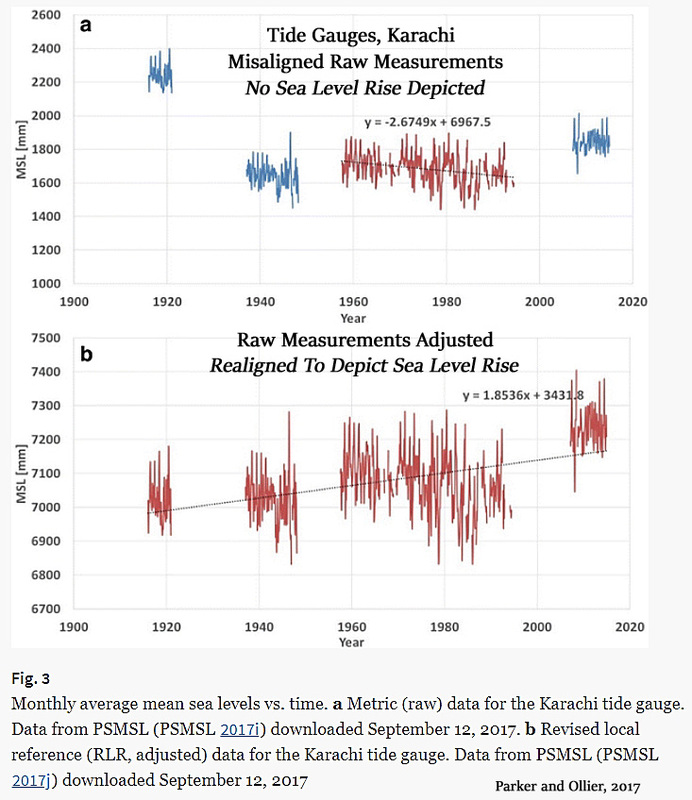 From all appearances, the data-adjusters at PSMSL are attempting to “correct” the sea level rise data that do not support the conceptualization of a rapidly-rising sea level trend in response to rising human CO2 emissions. Not content with cooling the past, the climate mafia are now trying to reduce historical sea levels! The whole of “climate science” has been corrupted beyond belief by money and politics. Climate “scientists” invented fake news. The question is “how do we get corruption out of science”? Or is it even possible these days? Still, there’s no denying that the earth actually does go round the sun……………er – right? I’ve always said, the left will rewrite history and Britain ain’t in the sums. Science too, science SCIENCE!! we are lucky that they [the critical theorists] are a bit thick, well a lot thick really. Oh yes, that’s why of course these days they don’t teach the kids to add up, subtract and divine and think their own thoughts. It’s a parallel universe in Britain, thank cultural Marxism and a government who knows not of what it is about – since the day of Jan 1st 1973 when all their ‘thinking’ was done for them………..
as we sail off the edge of the earth, don’t say u wuzn’t warming innit? When data is adjusted there is not unreasonable to expect full, detailed documentation of the rationale behind those adjustments – obvious – but seemingly that’s not the case in this matter. What should be of deeper concern is if access to the real, recorded raw data is obfuscated in any way (beyond the usual and inexcusable NERC bureaucratic nonsense) – can anybody save me the spadework of scoping that out? I think the responsibility for the adjustments should be better elaborated – as in PMSL is based at Proudman Laboratory in Liverpool and the present director is Dr. Lesley Rickards and it is essentially a department of NERC. I now treat all graphs as mere marketing devices. Not to be trusted. I even treat my own creations with suspicion and worry about any unsuspected garbage lurking in the input. These adjustments are worthy of Enron’s accountants.